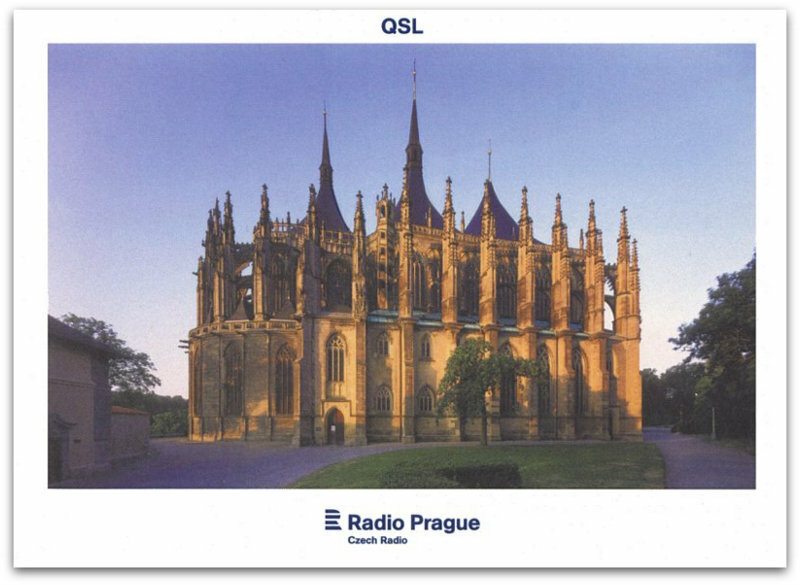 A Radio Prague QSL card. [W]hile going through an SDR recording I’d made on Saturday, I listened to the Radio Prague program via WRMI on 5850 and was surprised to hear it was the last edition of their Mailbox program. They cited the loss of shortwave broadcasting and the movement of commenting from snail- and e-mail to Facebook as the reason for discontinuing the service. I suppose we can expect the discontinuation of more listener-oriented programming like this as shortwave continues to struggle to attract adequate listeners in this age of instant internet access. Thank you, Zach! I had no idea their Mailbox program was ending. I’m happy you caught this episode to share with us. This entry was posted in News, Shortwave Radio and tagged Radio Prague, Radio Prague Mailbox, Radio Praha, Zach on December 4, 2016 by Thomas.